Or view larger version. Coach George Powles speaks with McClymonds High School basketball players Frank Robinson and Brady Hord. January 8, 1953. Photographer unknown. Gelatin silver print. Collection of Oakland Museum of California. The Oakland Tribune Collection. Gift of ANG Newspapers. 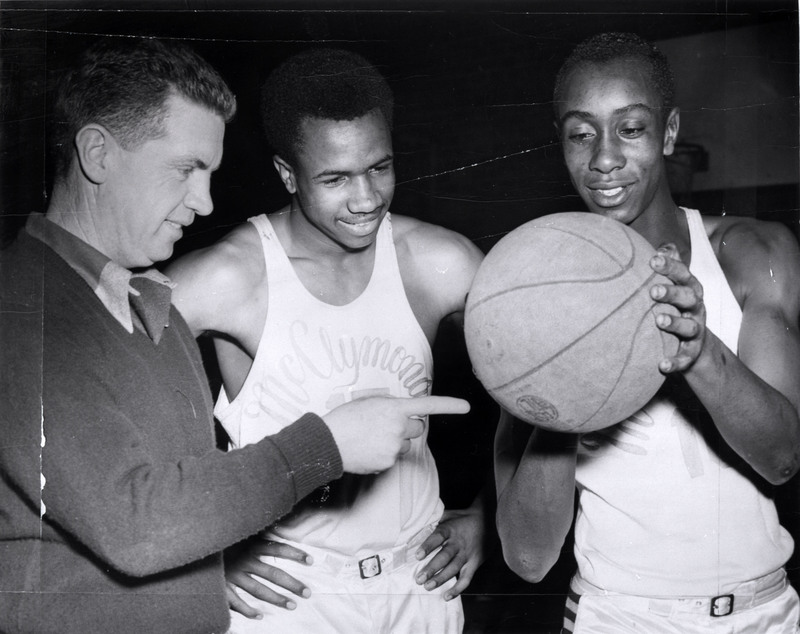 Legendary McClymonds High School (Oakland, California) coach George Powles, left, provides some last minute tips to two of his players, Frank Robinson, center, and Brady Hord, before a championship basketball game against Fremont High in January, 1953.